All new Game Releases for the PlayStation on April 6, 1999: Sports Car GT, Rampage 2, and Bust-A-Move ’99. It’s a good day to game! 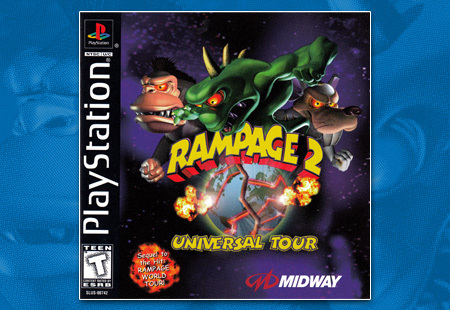 Rampage 2 Universal Tour continues the city thrashing, human eating, vehicle smashing chaos that made the original arcade game so popular.